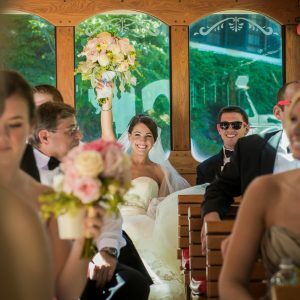 Trolleys are a hit to rent for transportation or a private group tour. 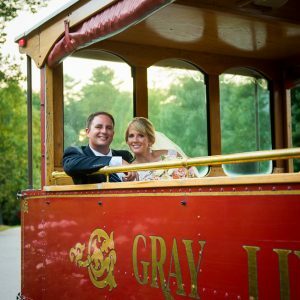 Whether safely and stylishly transporting your guests, or making the trolley your own private wedding chariot, Gray Line trolleys are the perfect way to make your special event even more fun and memorable. 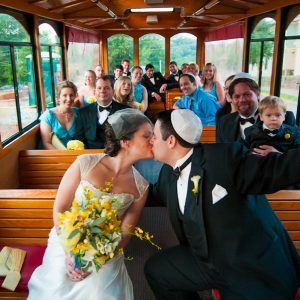 Trolleys are rented by the hour, with a minimum rental of 2 or 3 (continuous) hours depending on time of year and day of the week. 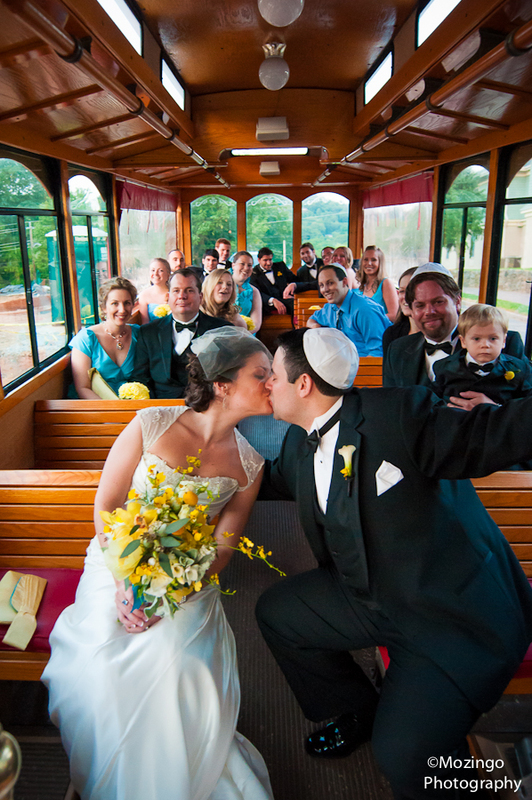 Service can be provided to most locations in Asheville. Please complete the form or call 828-251-TOUR (8687) for a customized quote. 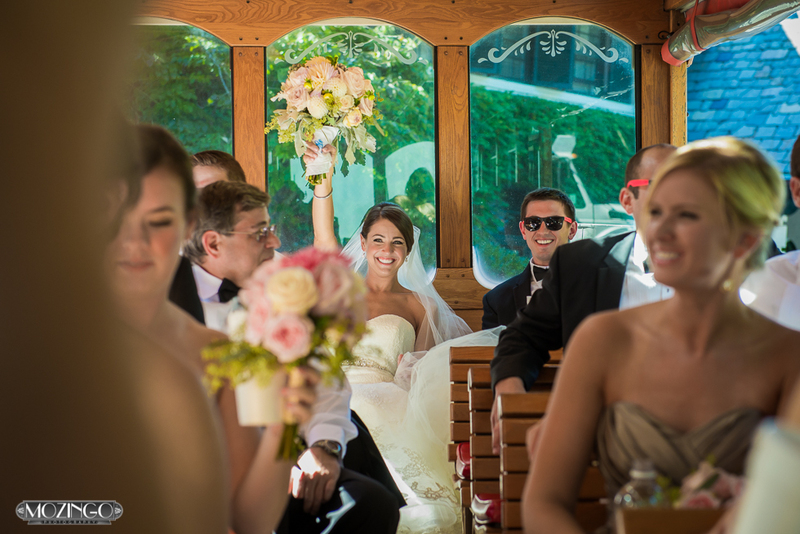 The trolleys are a big hit for wedding transportation and do sell-out during the most popular times of year. Private group tours are available on a per person basis. 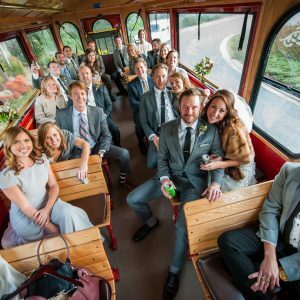 Group pick-up within downtown is complimentary. We recommend booking early to guarantee availability and secure your date. and much, much more! We hope you’ll be possessed to join us! 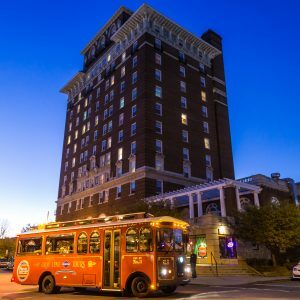 The Holly Jolly Christmas Trolley Tour is $25 per adult and $11 per for child, based on a minimum group size of 25 adults. 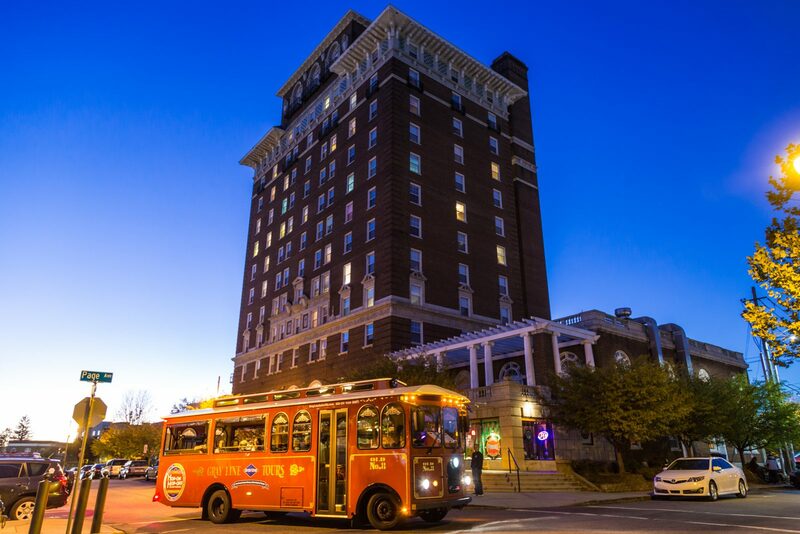 The tour lasts approximately 75 minutes and includes live music and caroling. 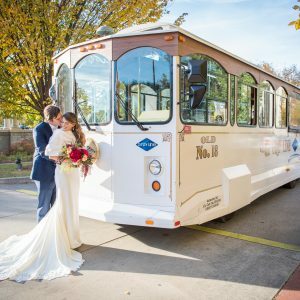 Gather your group together and hop on board the Holly Jolly Christmas Trolley for a fun and festive celebration of the season including live music and caroling! Haven’t been caroling in a while? Not to worry! Songbooks will be provided for use during the tour. Please complete the form or call 828-251-TOUR (8687) for additional information and customized quote. 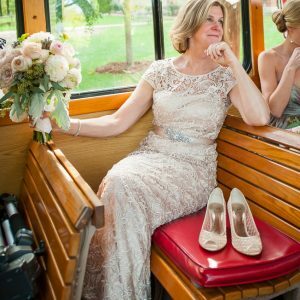 Our wedding guests loved getting rides to and from our reception venue, and the drivers were charismatic and friendly. 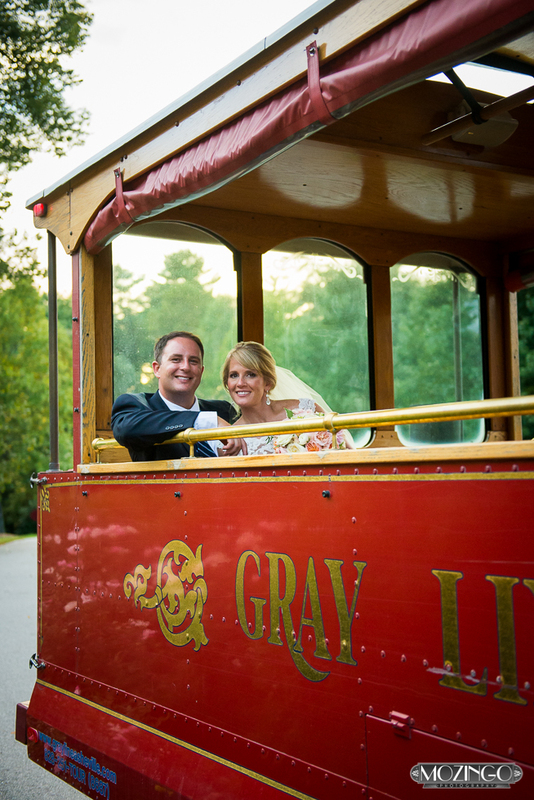 The trolley service and driver were great! 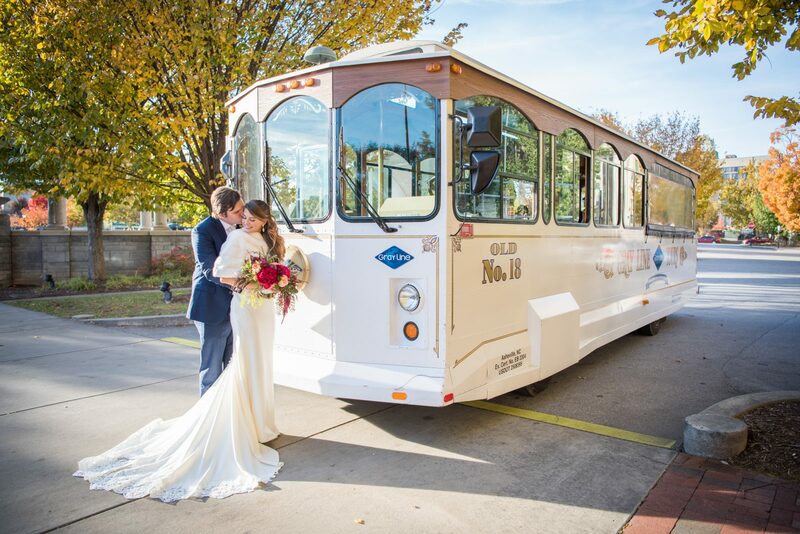 We loved having it as part of the wedding celebration! 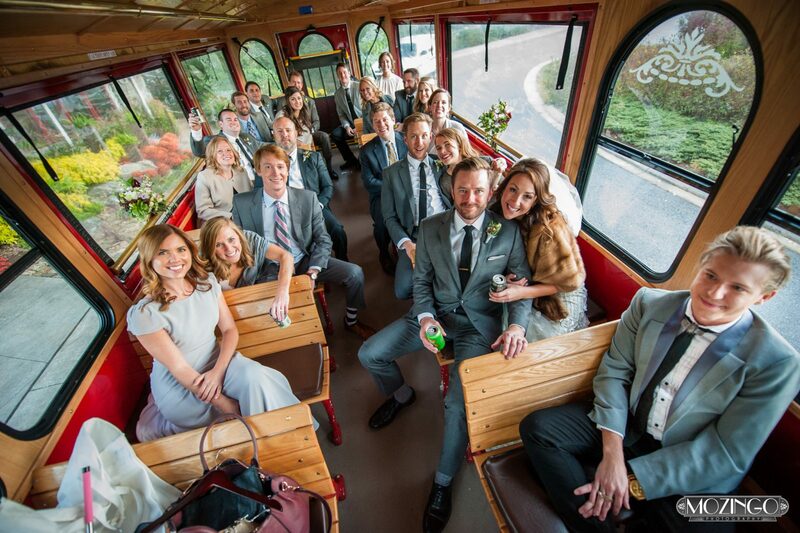 The trolley was perfect . . .
. . . and Matt did a super job. On behalf of our reunion committee and the retirees . . .
. . . I would like to thank you and your staff for providing a memorable experience for our group . . .
As usual, your team of drivers carried off our very complicated event with NO issues! 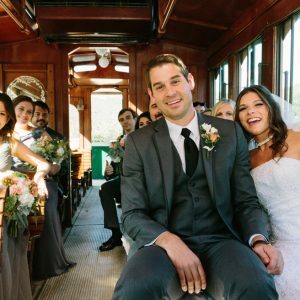 Matt and Steve - thank you for leading the other drivers through our often complicated routes!